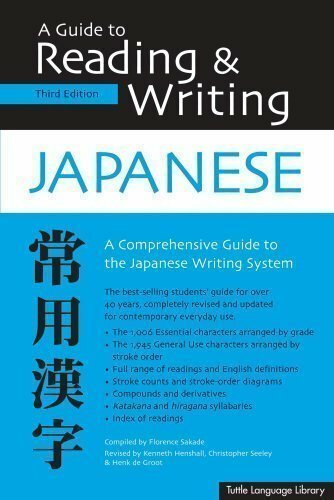 ' A Guide to Reading & Writing Japanese' gives you the tools you need to read and write everyday Japanese. It covers all of the 1,945 characters in the General Use set of Japanese characters, with particularly detailed coverage of the 1,006 essential characters that Japanese children must learn in the first six years of grade school. Within the essential set, the characters are presented according to the latest arrangement by grade, which is based more on their frequency in everyday language than the complexity of their composition. Since Japanese publications must, by law, provide supplementary phonetic readings for any character not included in the General Use set, this reference contains everything you need to know to start reading Japanese.The book includes both the katakana and hiragana syllabaries, and an index of readings.